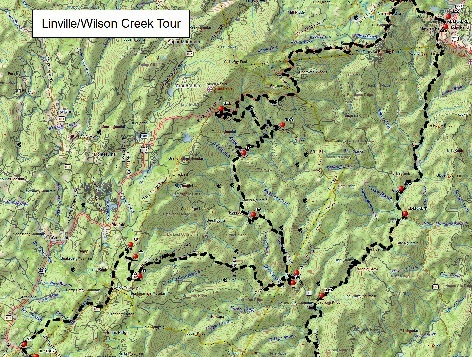 This ride takes you on a fantastic 120 tour of back roads and vistas around Linville Gorge Wilderness Area as well as the beautiful Wilson Creek Area. This one is about 65% dirt and 35% Pavement. Full color map and roll chart included. For more info please click on the link below.